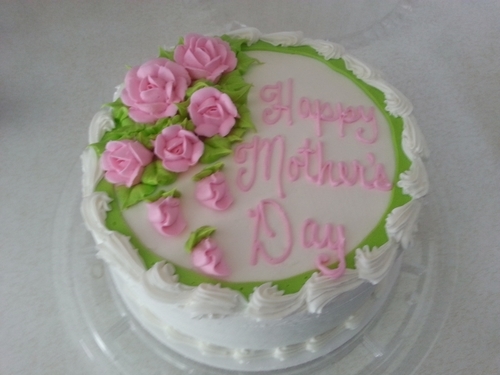 This entry was posted in Seasonal and tagged moms, Mother's Day, mothering. Bookmark the permalink. Happy Mother’s Day to you, Debbie. Domer, Dallas, and your novels certainly are glad for your nurturing instincts! HAPPY MOTHER’S DAY TO YOU, DEBBIE! What a BEAUTIFUL post! Love both the quotes. I’ve been thinking about my mother(s) this past week; realizing how blessed I was to have two caring, nurturing, supportive and loving women in my life who were my mother’s. Their influence on me will be a part of my life forever. Ron, you’re blessed to have had TWO moms who loved you so thoroughly! Moms don’t have an easy job. Sometimes kids can say and do very unloveable things, all unthinkingly, of course. You weren’t that type of kid, I’ll bet, so your moms had an easier time of it! Happy Mother’s Day! My card from Cole – “Dear Mom, You raised a good kid (if I do say so myself)” :-D. He doesn’t have to… Being a Mom is such a great gig and despite the fact the years go fast they just get better and better —my wish for all new Moms. Aw, you’ve just gotta love Cole’s sense of humor!! Domer sent me a card that brought tears because of its sweetness. I have to congratulate myself that my lesson took — if a card can bring a little tear, you’ve accomplished your goal as sender! I like pink roses, too … whether on cakes or in the yard. Since we don’t have any in the yard, I’d be glad to have some on a cake (and I’m sure the bakers removed ALL the calories before selling it, right?!) Hope your Mom’s Day was splendid! Happy Mother’s Day! And you are just as much Dallas’s Mom as Domer’s, I bet. :D When are you sharing out the cake?? I did! And I hope yours was lovely as well, my friend! Did you have a nice Mother’s Day? I was in Chicago visit my daughter one last time. She’s moving to California this summer! I don’t know about her but I’m going to miss visiting Chicago in the spring. Sigh. Hope you and Domer and Dallas had a wonderful Mother’s Day weekend! I trust your daughter found a better job! It’s hard having kids clear across the country, and I know you’ll be glad to have her closer. I’m fortunate Domer is just a few hours away! He couldn’t come home for Mom’s Day, but I’ll see him soon. Thanks, Tanya — hope yours was wonderful, too! We’re blessed to have such good kids!